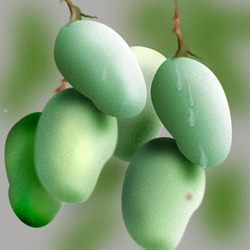 Manufacturer & Supplier of Green Mango. Our product range also comprises of Frozen Fruits, Frozen Corns and Exotic Fruits. As a quality-oriented organization, we are focused to provide our clients excellent quality Green Mango that is used to make pickles, chutney and other such items. The offered mango is processed using progressive technology by our experts in adherence with industry norms. Moreover, our offered mango is highly acclaimed in the market owing to its unique sour taste. Our valuable clients can avail this mango at market-leading prices.